A minimum of 5 people are required for a specially scheduled class. These classes are great for Garden Clubs, Birthday Parties, Bachelorette Parties and Team outings. Classes can be structured for children ages 6 and up. We require adult supervision for children under 10. Classes are offered in Floral Design, Kokedama, Indoor Gardening, Terrariums, and Perfume Blending. Please contact classes@rrlavender.com for more information. Our Show Goes on the Road. We have specially structured classes for corporate team building, events and parties and wellness programs. 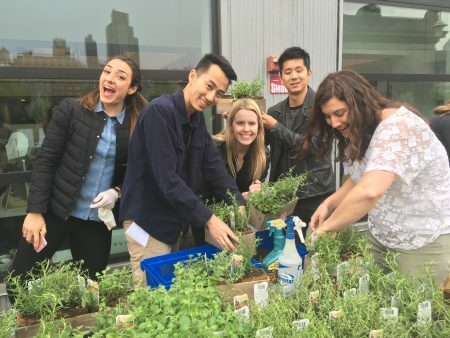 Working with flowers and plants is a Zen art that promotes mindfulness. Its a great way to thank key clients and employees. We can teach classes offsite for up to 100 people. Classes are offered are Kokedama, Indoor Herb Gardening, Terrariums, and Flower Crowns. Please email classes@rrlavender.com for more information. Private lessons for clubs and individuals are available. We can create a curriculum based on your particular interests and needs. 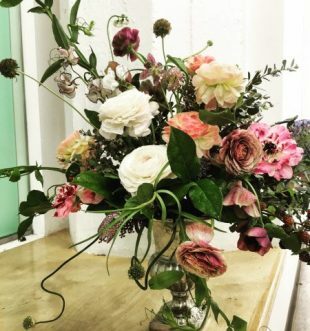 Our instructors are classically trained in Europe and Japan and have worked professionally as floral designers for 20 years or more with some of the biggest names in the industry. 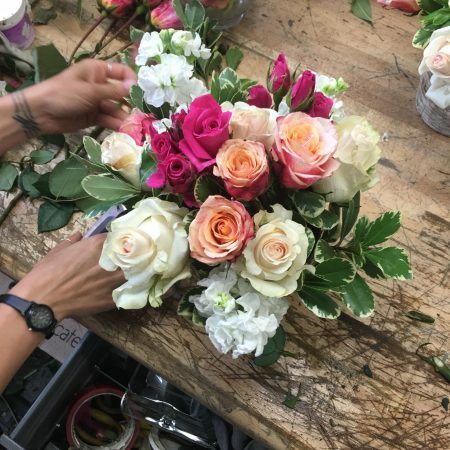 They provide in depth knowledge for those who want to improve their technical skills.These classes are suitable for floral design enthusiasts who want to bring their craft to the next level and professionals who need to learn more foundations. Please email classes@rrlavender.com for more information.